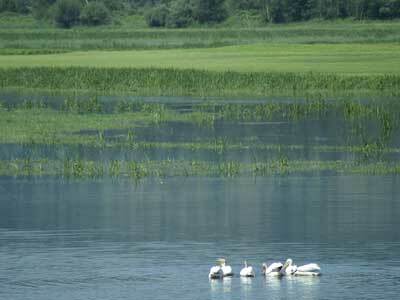 The Wetland Restoration Project site is located in the lower Coeur d’Alene River Basin. It is nearly 400 acres of privately-owned farmland that has been remediated by the Environmental Protection Agency (EPA) and then transformed into wetlands. It is contained on one side by Idaho Highway 3 and on the other side by the Trail of the Coeur d’Alene. Because of decades of mine-waste contaminant releases, about 95% of wetland habitat in the Lower Basin contains surface lead levels that are toxic to Tundra swans and other waterfowl. As a result, thousands of birds have died while migrating through the Lower Basin. 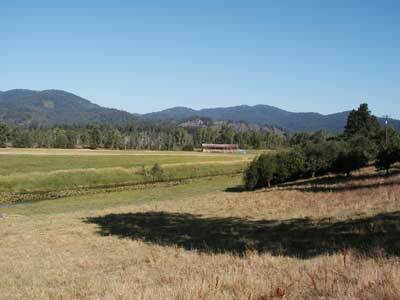 In 2006, to begin addressing the issue, the Trustees partnered with the EPA and a private landowner to convert agricultural land to wetland in the Lower Coeur d’Alene River Basin. This particular site was originally a wetland. It was converted into farmland in the early 1900s. However, repeated flooding caused this property to be highly contaminated with lead and other metals. A willing land owner engaged in a conservation easement in order to accomplish this project. The purpose of establishing this easement was to provide safe waterfowl feeding habitat. The EPA conducted a remedial action under CERCLA prior to the restoration work conducted by the Partnership. One of the first projects of its kind, this restoration project complemented EPA remedial work. Once the conservation easement was in place, highly contaminated soils and sediments were capped or removed. Once lead levels were reduced to protect waterfowl, water management and invasive species control began, followed by establishment of native plant species, with the goal of providing safe waterfowl feeding habitat. The Trustees, working with partners, continue to enhance habitat on the project by managing water levels, encouraging more native vegetation, and preserving the integrity of levees. Most recently, islands for loafing and cover were constructed for waterfowl use. Bird use and habitat changes are monitored every year to learn how to improve restoration techniques. Because of the clean-up and the habitat provided, waterfowl diversity and abundance is among the highest in the Lower Basin during spring migration. The Wetland Restoration Project is another stellar example of cooperation between different partners. In this case, the private land-owner was essential to the partnership. The EPA worked with the private land owner to provide the easement and then followed up with the remedial work. The FWS was the lead Trustee and worked with Ducks Unlimited to provide the on-the-ground restoration work. The Idaho Department of Fish and Game (IDFG) purchased 52 acres of land adjacent to the original 400 acres for the purpose of providing safe waterfowl feeding habitat. This addition is referred to as the Robinson Creek Habitat Segment Expansion. In 2012, 10 additional acres adjacent to the Robinson Creek property was purchased with NRDAR settlement funds. The combined 62 acres is located in the IDFG's Coeur d’Alene River Wildlife Management Area (CDARWMA). Extension of the property boundaries facilitates more flexibility in restoration design and water level management to benefit wildlife in general and Tundra Swans in particular.